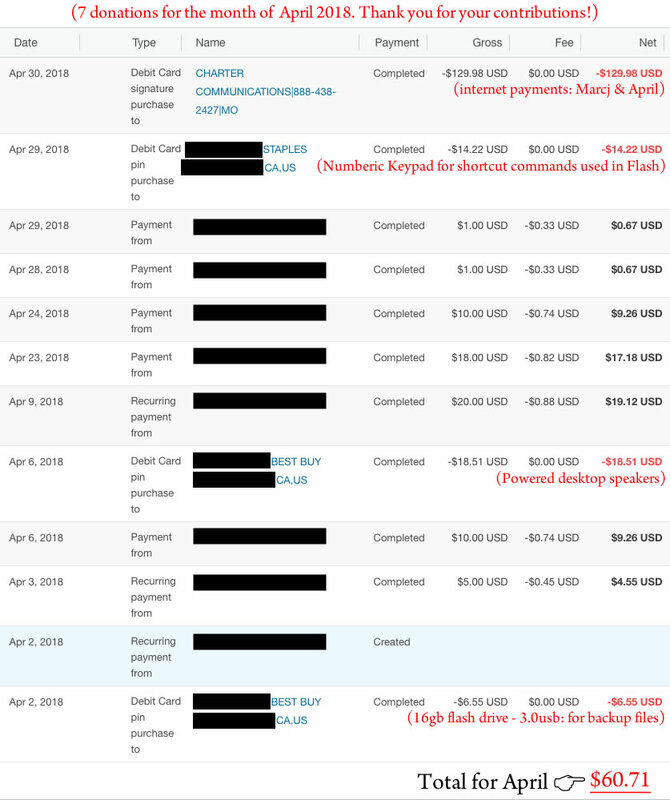 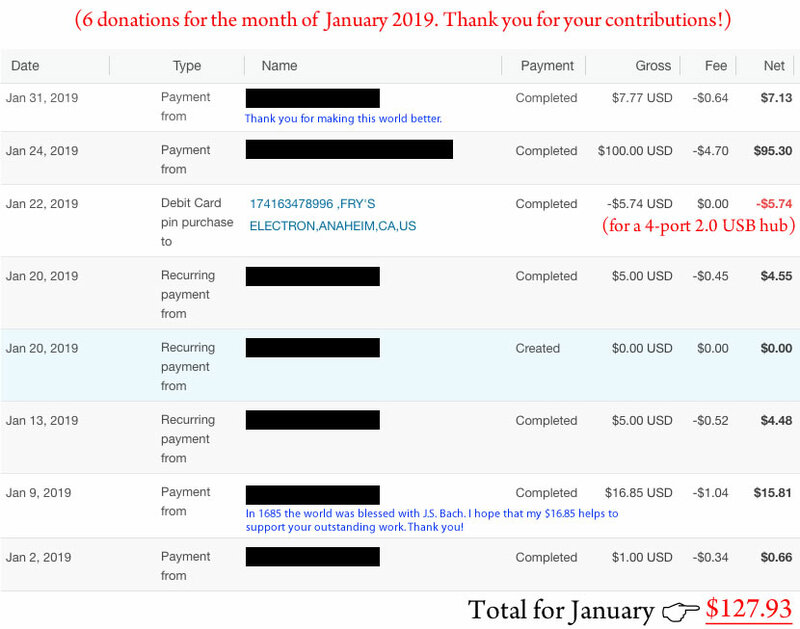 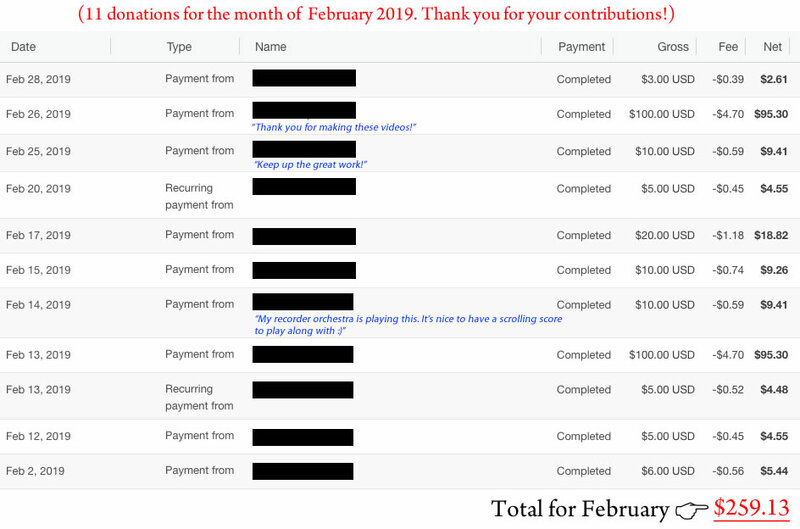 Donations for 2019; Jan. / Feb. / Mar. 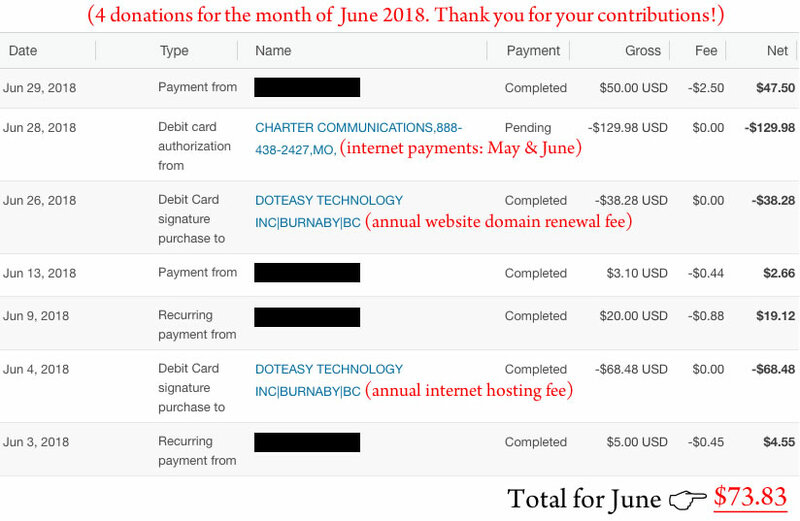 / April / May / June / July / Aug. / Sept. / Oct. / Nov. / Dec. 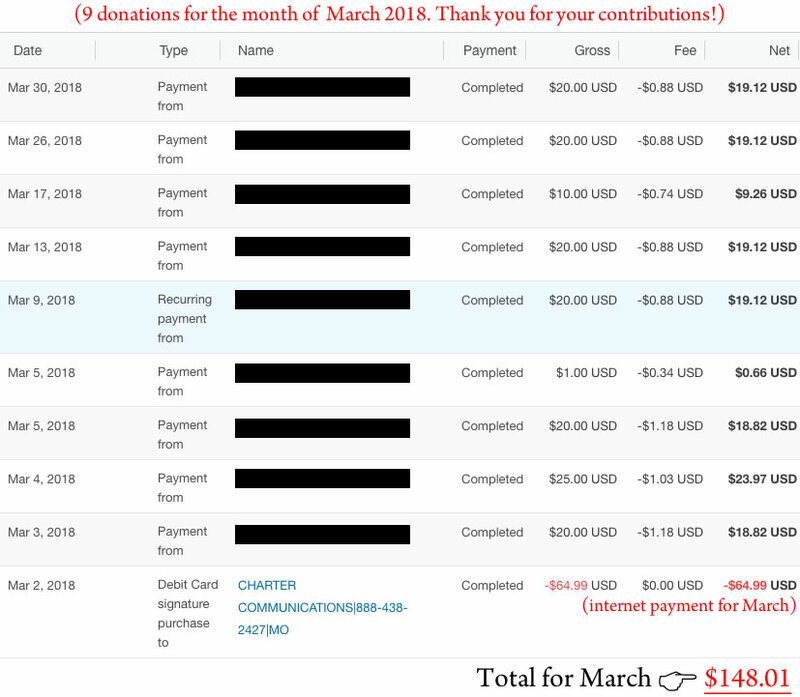 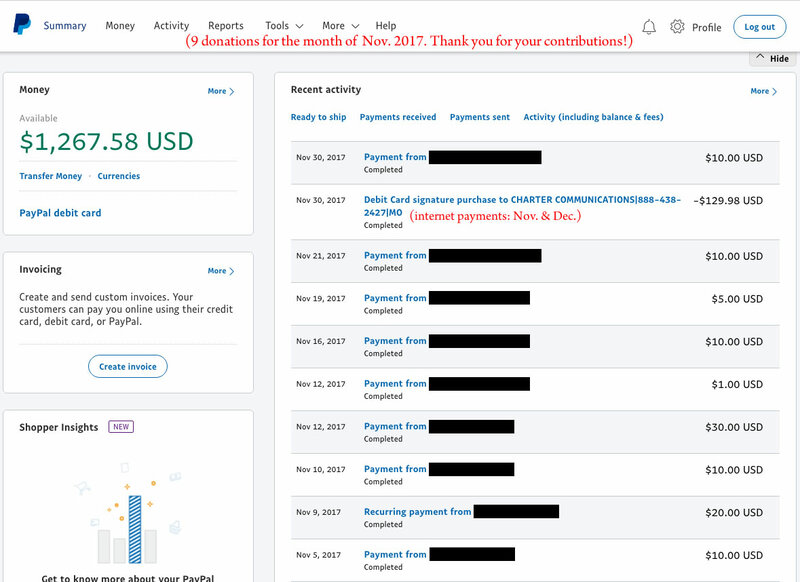 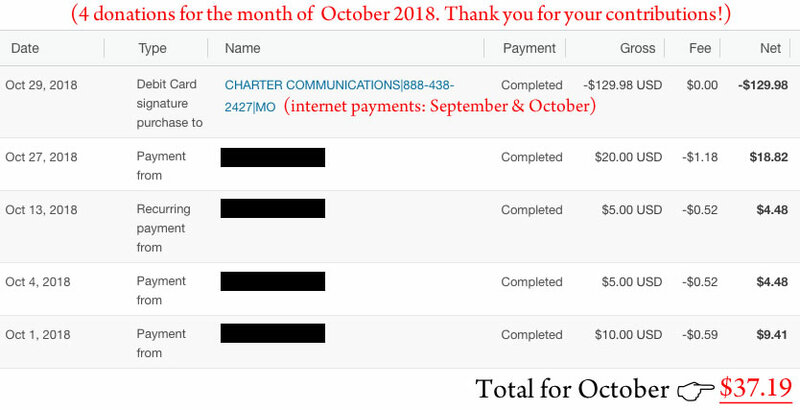 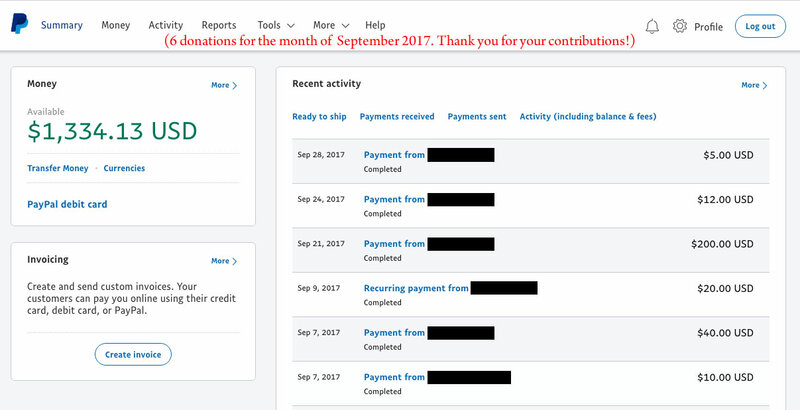 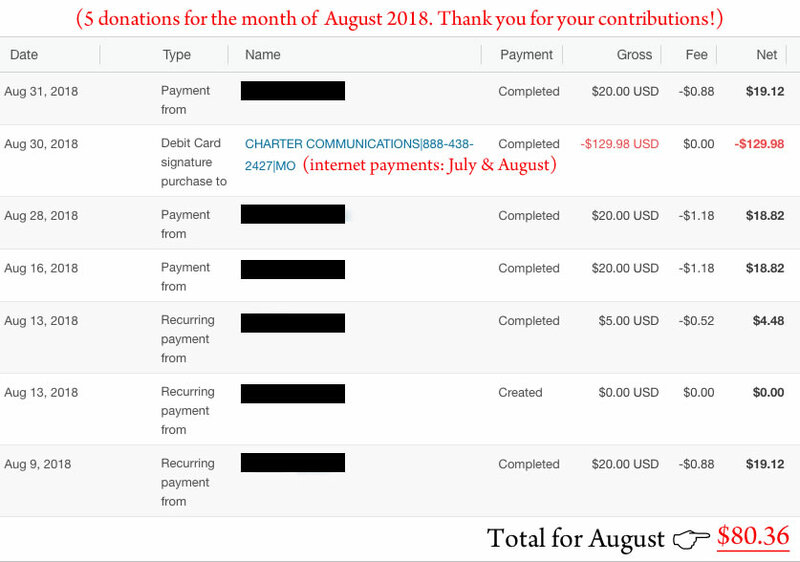 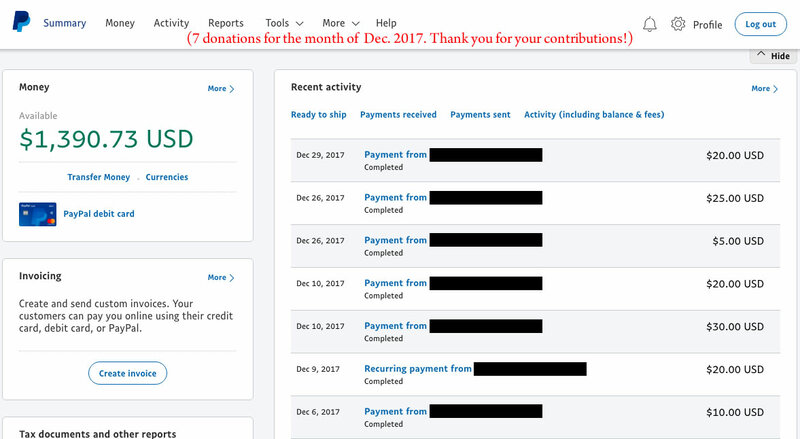 Donations for 2018; Jan. / Feb. / Mar. 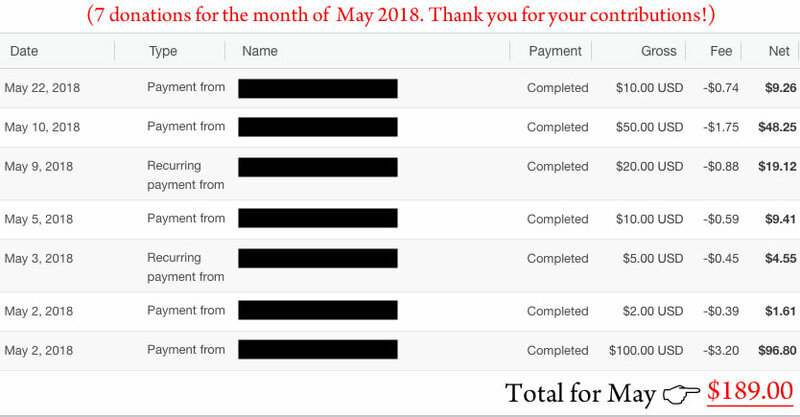 / April / May / June / July / Aug. / Sept. / Oct. / Nov. / Dec. 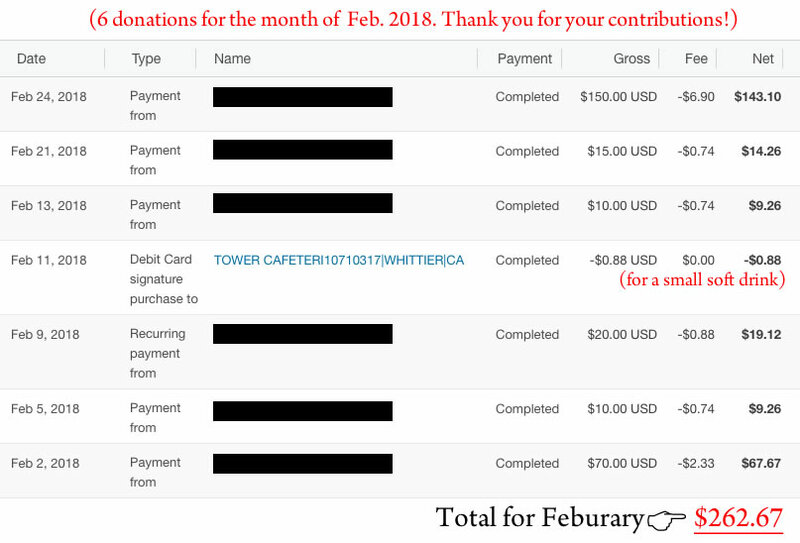 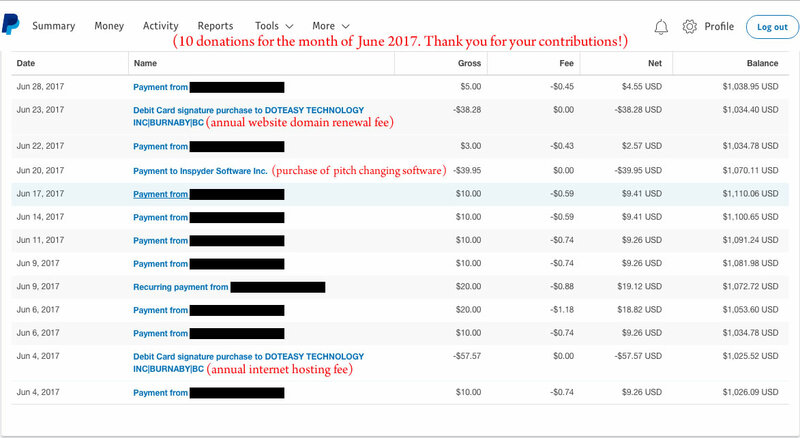 Donations for 2017; Jan. / Feb. / Mar. 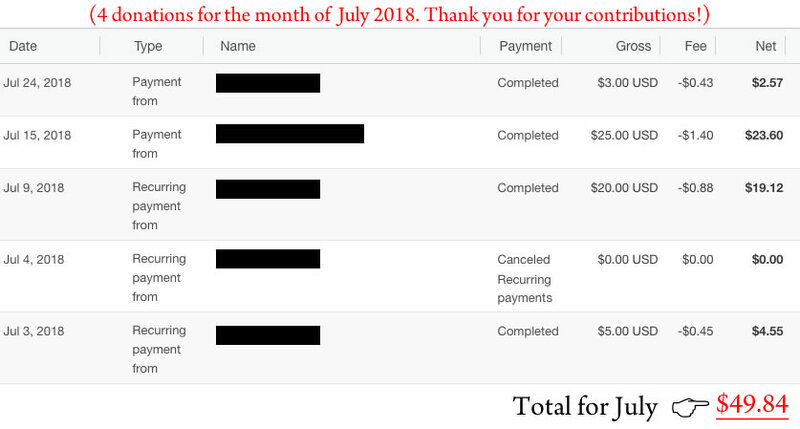 / April / May / June / July / Aug. / Sept. / Oct. / Nov. / Dec. 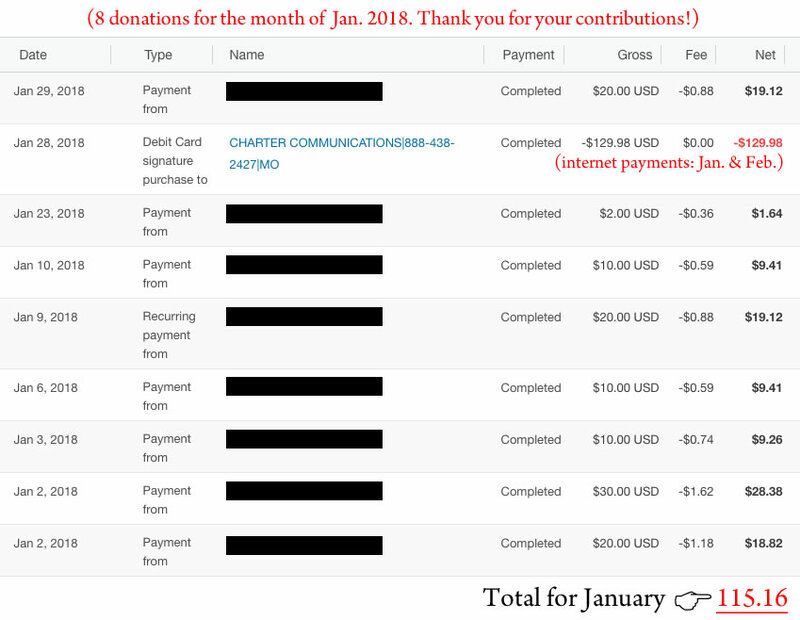 Donations for 2016: Jan. / Feb. / Mar. 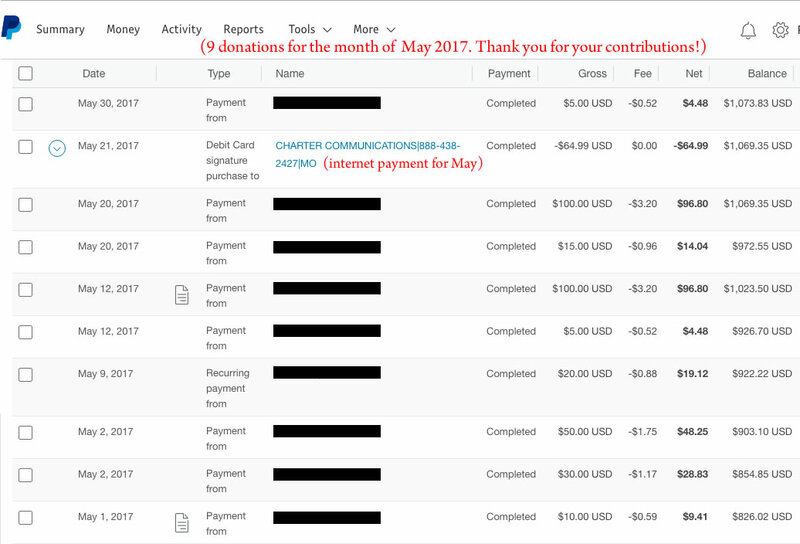 / April / May / June / July / Aug. / Sept. / Oct. / Nov. / Dec. 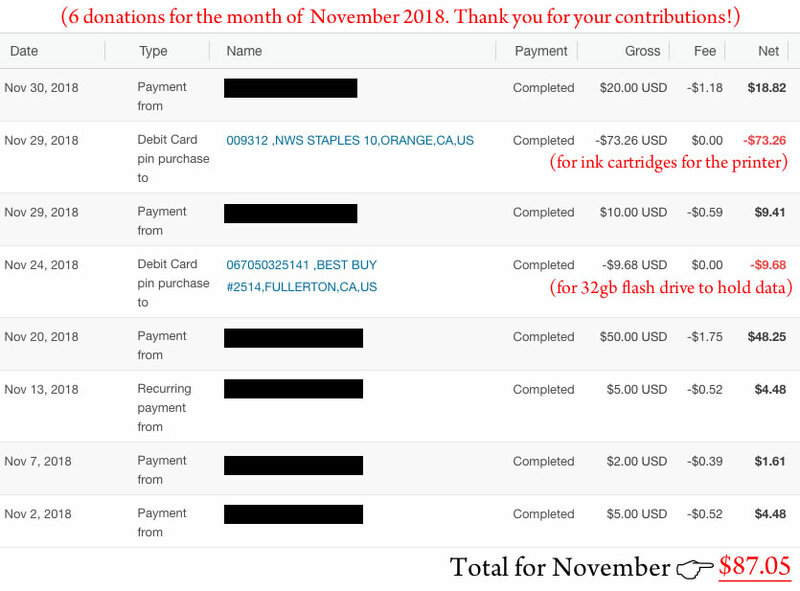 Donations for 2015: Nov. / Dec.